Home / Race-Used Tires / NASCAR's Kevin Harvick Goodyear Eagle Tire! NASCAR's Kevin Harvick Goodyear Eagle Tire! 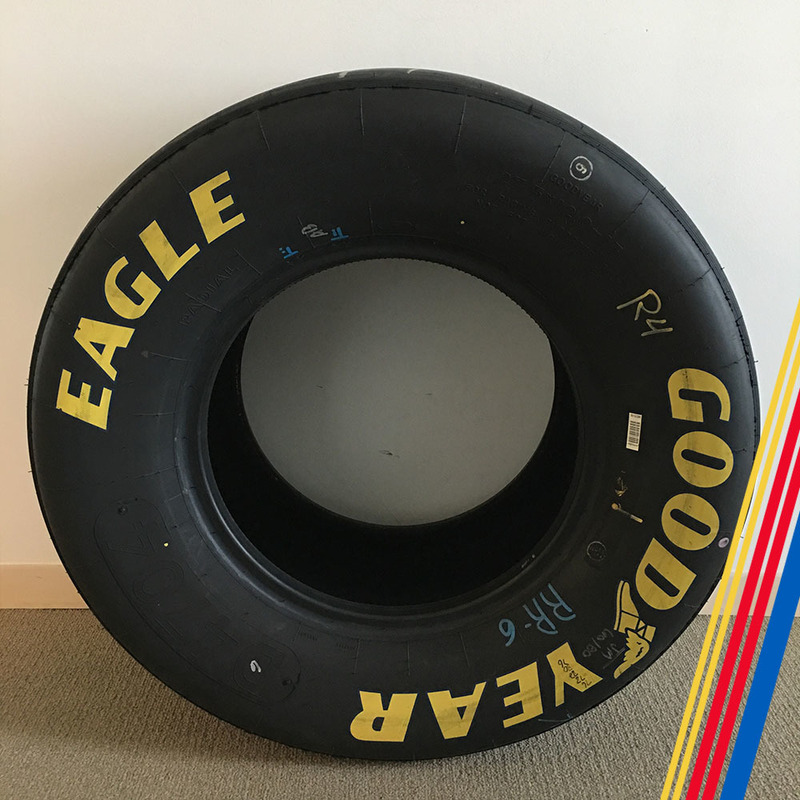 Bid on the Monster Energy NASCAR Cup Series driver Kevin Harvick's race used Goodyear Eagle tire from the Stewart Haas Racing #4 Ford (R4). Tire markings are Right Rear 6th set.